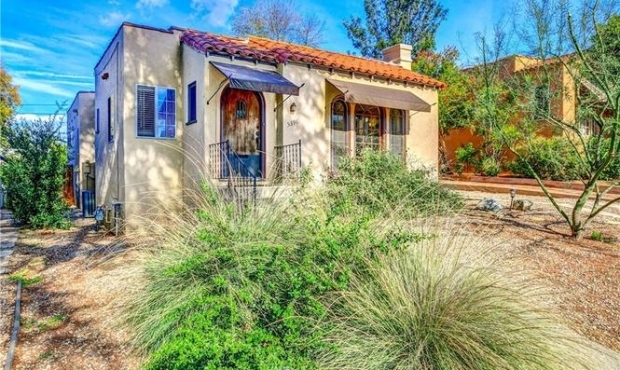 Adorable Spanish Eclectic bungalow on a cul-de-sac in a great El Sereno neighborhood complete with a red tile roof, awnings with wrought iron supports, triple arched focal windows and drought tolerant landscaping. Enter through the arched front door into a small foyer that beckons you into the spacious living room boasting a gorgeous Batchelder tile fireplace and hearth surrounded by dark wood mantle and built-in bookcase and secretary desk flanked by windows and sconces, a step-up reading nook, coved ceiling with crown molding and beautiful hardwood flooring. Years ago, the 3rd bedroom was modified into a family room to create an open space that includes the large kitchen and dining area with double sink, ample wood cabinetry, built-in oven, vinyl flooring, ceramic tile countertop and backsplash, and 4-burner gas cooktop. The additional two bedrooms include a master at the rear with carpeting and an attached ¾ bath. There is also a full bath off the hallway that features original pink ceramic tile complemented with black ribbon and accents. Out the back door is a small covered patio and an over-sized garage through which you access the expansive rear yard with multiple seating areas, fruit trees, flagstone walkways, decomposed granite, and flower beds. Other features include some original windows and hardware, ceiling fans, central air & heat, laundry in garage, and drip irrigation. 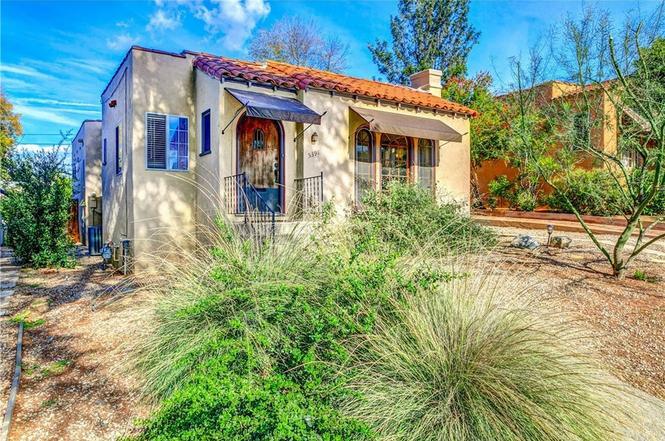 Don’t miss this great opportunity to own this El Sereno beauty!